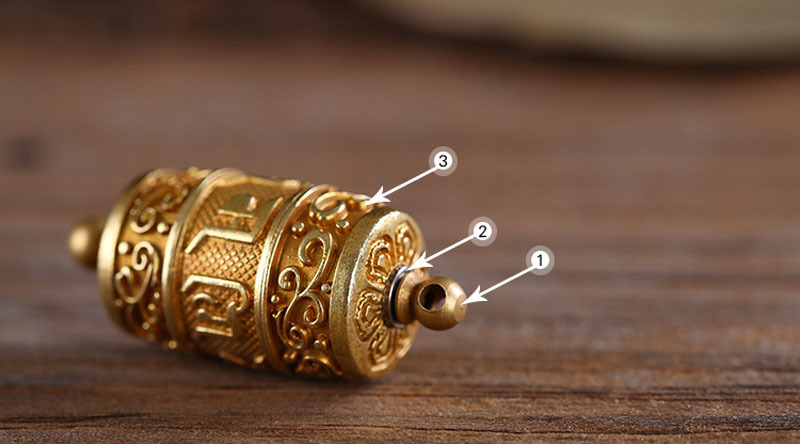 The traditional six-word mantra is used for this piece to make it very meaningful. 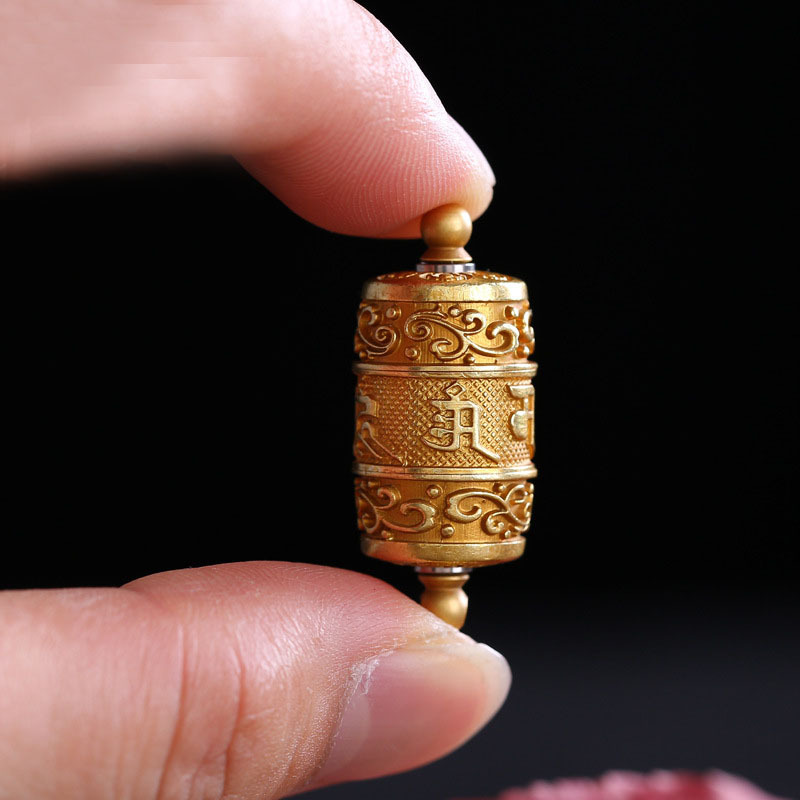 While chanting "om", one should try to become one with the Buddha. 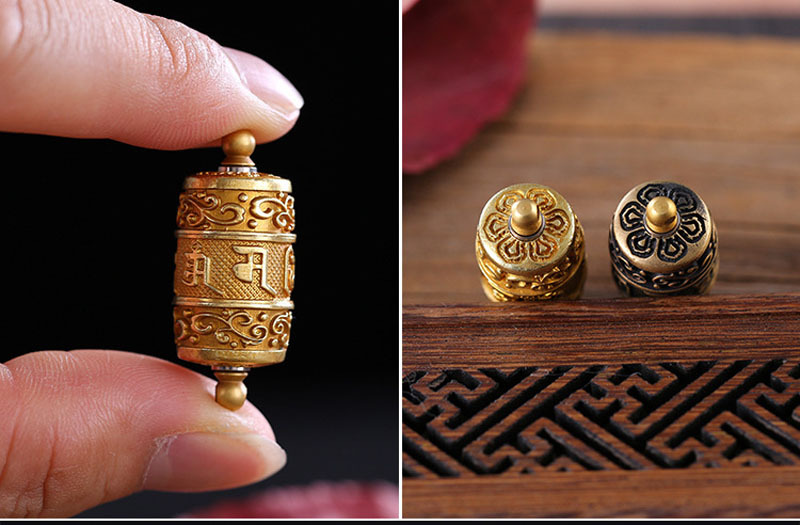 "Mani" means a treasure-begetting wish, which reportedly resides in the brain of the Dragon King and can attract all kinds of treasures. 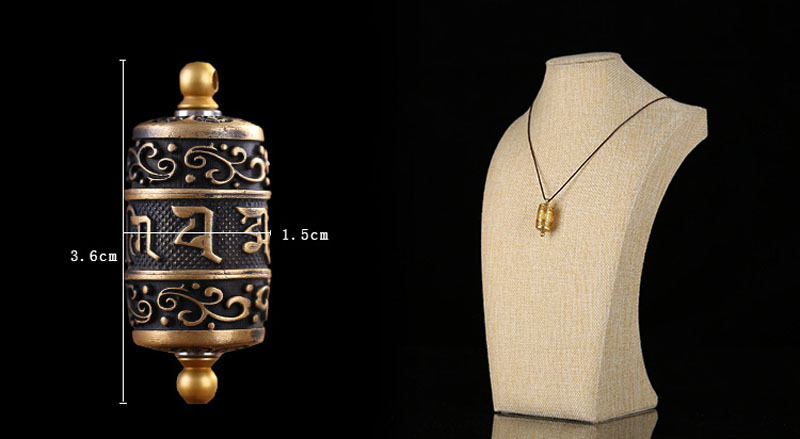 "Padme" means lotus, indicating that Buddha's dharms is as pure as a lotus. 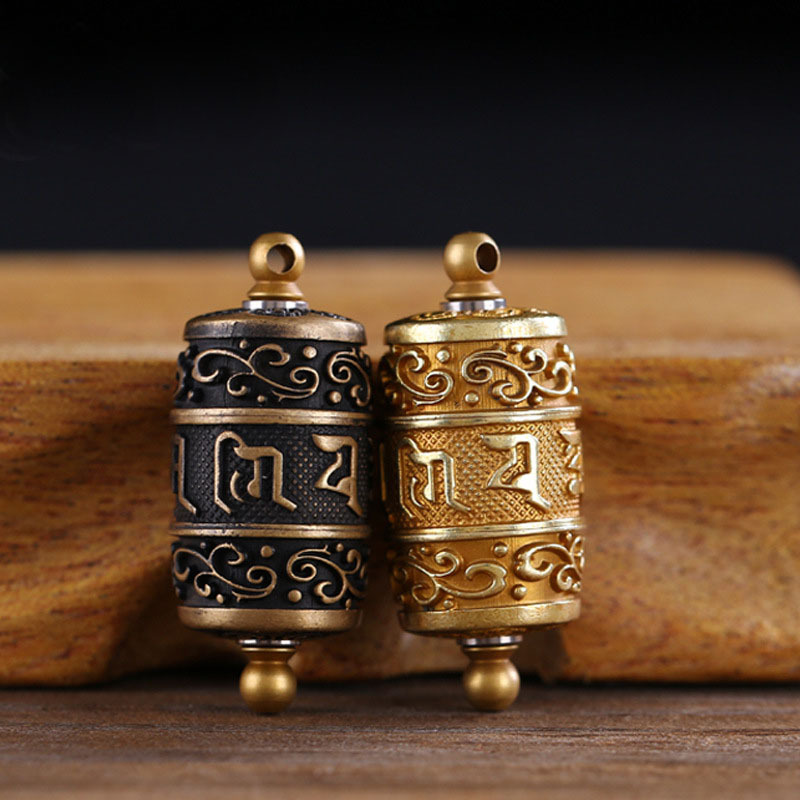 "Hum" indicates that one must rely on divine energy to achieve Buddhahood. 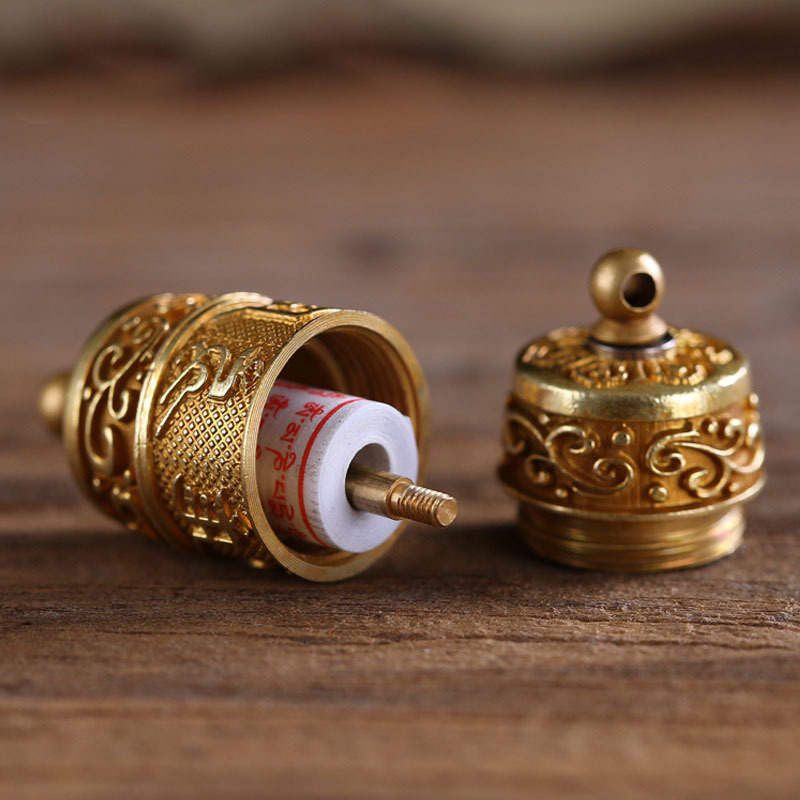 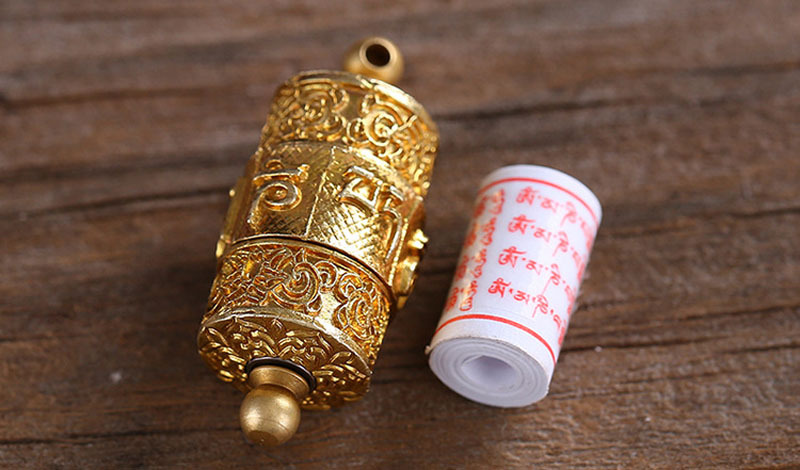 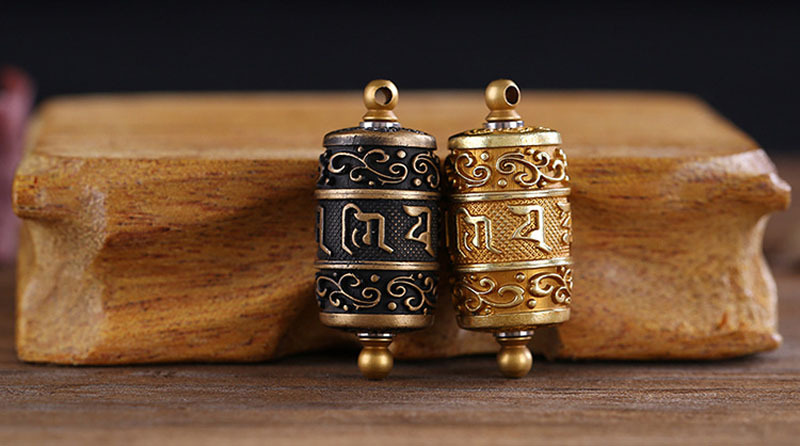 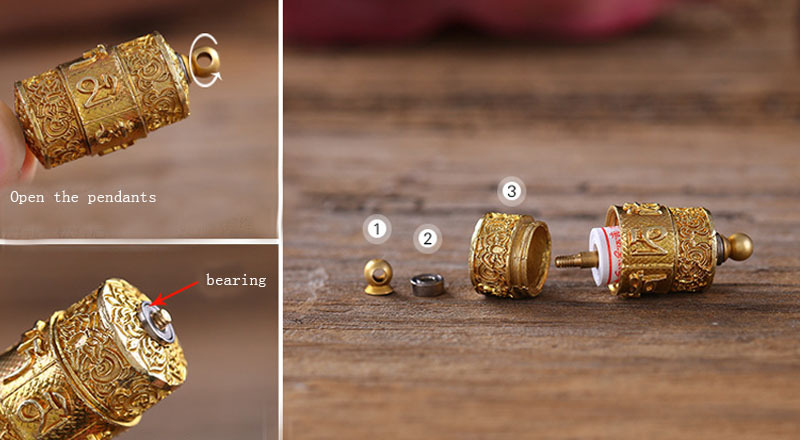 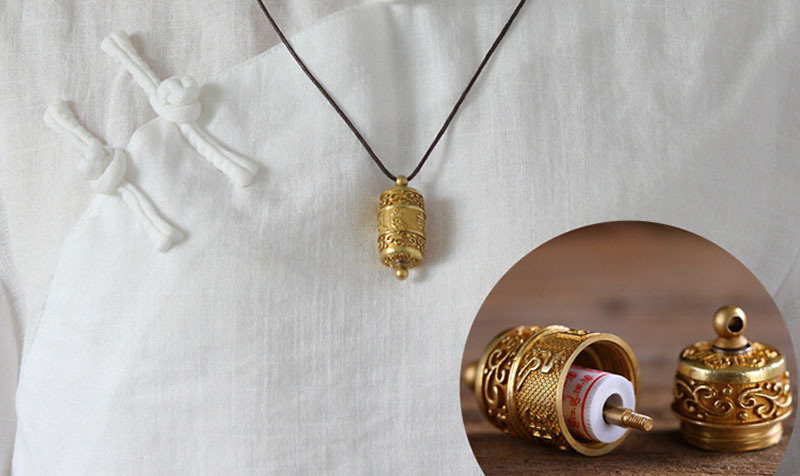 One of the most well known verses in the world is exquisitely crafted with the finest.This unique Tibetan Prayer Box pendant has a small compartment that will allow you to store secret or personal memos inside.